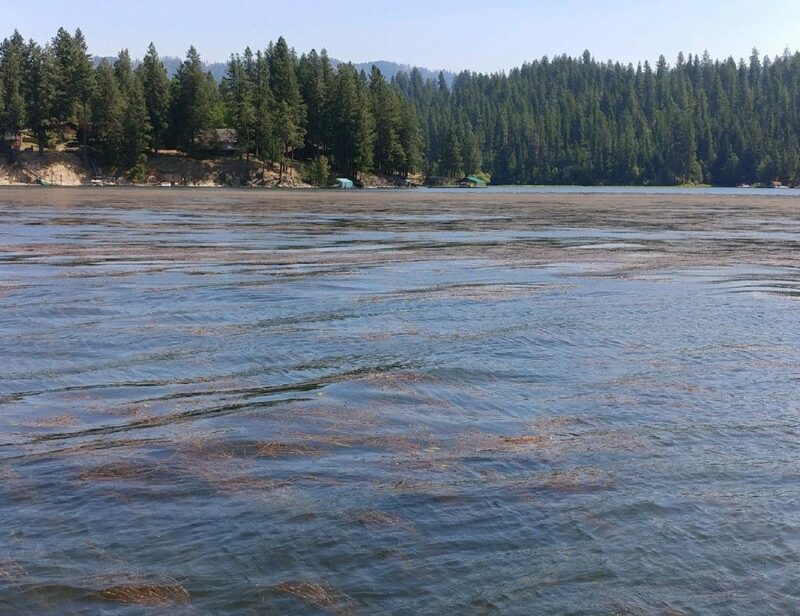 ISDA will implement the third phase of planned Milfoil treatment on Hayden Lake next week. The herbicide application will cover the north arm of the lake, the home of Sportsman’s Access. All residents along the affected area’s shoreline received a postcard via certified mail last week, and Aquatechnex will post notices at all public access points by the 14th. 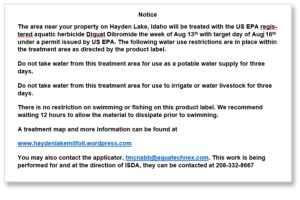 Water use restrictions for the treated area will be in place per the Littora label for >2 gallons/acre. Residents around the lake and non-residents who use this area need to know as well. Please share this information with your friends and neighbors. 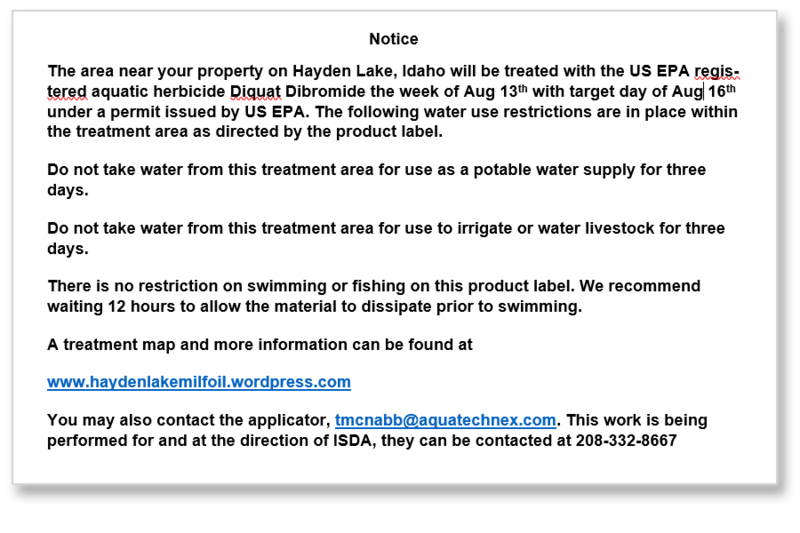 Get information directly from the contractor, Aquatechnex, via their Hayden Lake Milfoil page. Click the map image here to view the full treatment area. 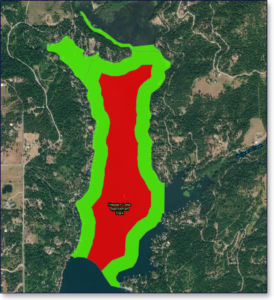 Please help us understand the impact of Milfoil treatment by filling out the survey below. 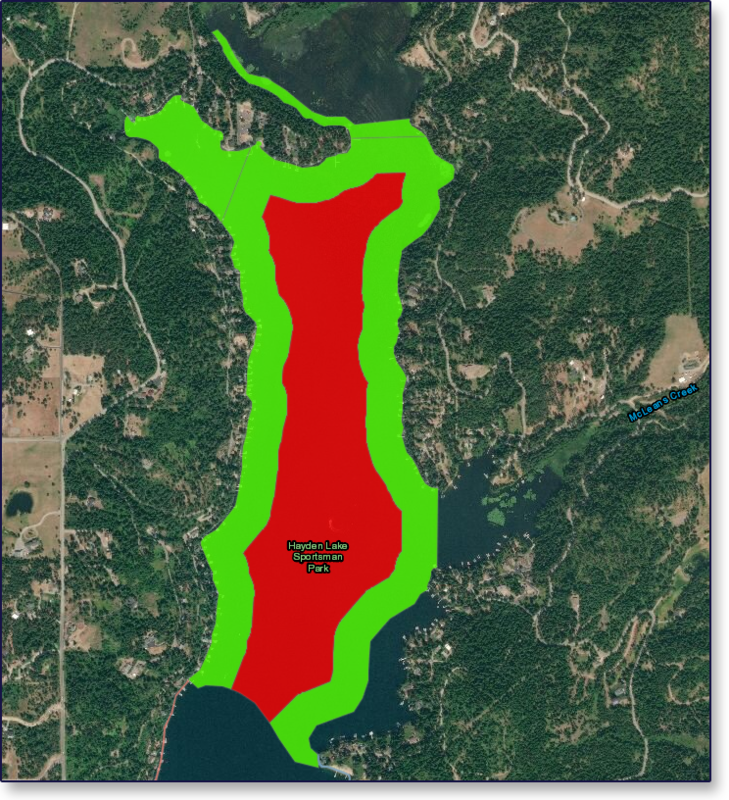 If you have questions about Milfoil treatment on Hayden Lake, be sure to add then via the last survey question or by commenting on this post. Monday’s post will follow-up with more information and answers to your questions. What part of Hayden Lake do you live on? Add your own answer to the list by typing here. good job this year. I am hoping that you will repeat the effort every year until this nasty weed is under control. And thanks for keeping everyone advised so well. 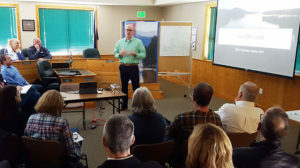 The mission of the Hayden Lake Watershed Improvement District is to protect and enhance the water quality and the environmental quality within the watershed.